Prime Minister Theresa May is trying to win concessions from the EU to gain domestic support for her Brexit deal. That backs up other indicators that suggest the uncertainty over Brexit is increasingly hurting the economy at a time when global trends, like a trade war between the United States and China, are weighing on world growth. With less than 50 days to go to Brexit day on March 29, firms have no idea what the country’s new trading relationship with the EU will look like, so they’re taking a safety-first approach that involves some relocating activities and jobs to continental Europe. Though Britain’s Treasury chief Philip Hammond argued that the British economy remains ‘‘fundamentally strong,’’ he conceded Brexit unease was taking its toll. There is no sign that the uncertainty, described as the ‘‘fog of Brexit’’ by the Bank of England, is going to lift anytime soon, so the economy is not expected to have improved at the start of this year. 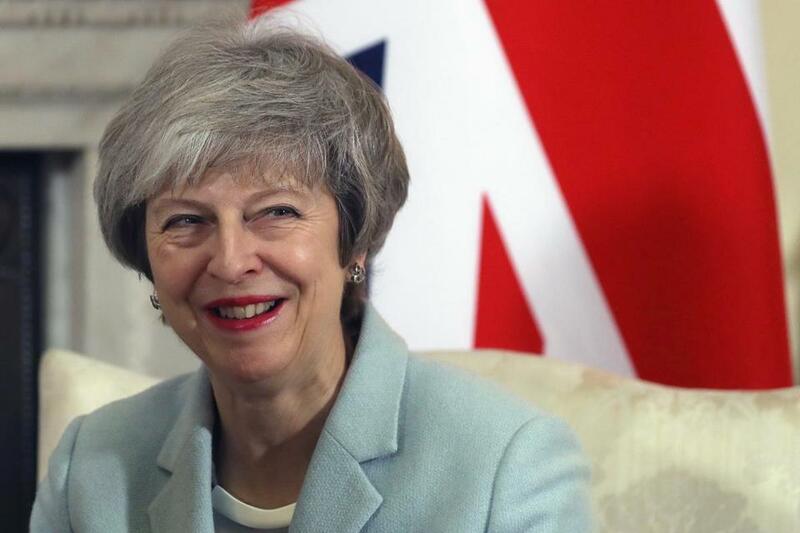 It’s unclear she will be able to get any concessions and fears have grown in recent weeks that Britain could crash out of the EU without a deal. That’s a worst-case scenario that the Bank of England has said could see the British economy shrink by 8 percent within months and house prices collapse by around a third as trade barriers like tariffs are put up on EU-UK trade. ‘‘Today’s data bring clear signs that Brexit uncertainty is depressing the economy, but we would not rush to conclude yet that GDP is on track to fall outright in the first quarter,’’ said Samuel Tombs, chief UK economist at Pantheon Macroeconomics.